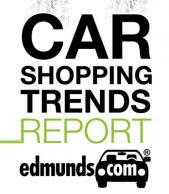 When Edmunds released the results of their 5th annual Edmunds.com Best Retained Value Awards last month Acura and Toyota owners were very pleased. The awards seek to highlight the makes and models that retain the highest residual sales values after five years as a percentage of average transaction prices when new. When you really need to pack in the passengers you can’t beat a minivan for utility. Minivans get better gas mileage than SUVs and have a lot of cargo options. With all of the “best car” lists that are created every year, Best Autos under $35,000 for Driving Enthusiasts, AAA Selects Top Autos for Commuters, and Top "Green" Cars for Spring, to name a few, you might be wondering which vehicles come up short in the rankings. In order to better understand the car buying process, Edmunds.com recently released a report detailing car buying information mined from user data derived from their audience of 18 million users per month along with a survey put together by Added Value in 2011 regarding consumer expectations. These two sets of data were correlated to determine if shopper expectations materialized in the purchasing process. This report confirms some information about the car buying process regarding how consumers research their purchases and offers new information about what shoppers expect to find. This compact luxury car is also loaded with technology features. In 2012 Cadillac launched the “Cadillac User Experience” or CUE. The ATS features an 8-inch touchscreen with touch-sensitive buttons, similar to many smartphones. Haptic feedback provides the ability to use the system by feel without taking your eyes off the road.